Thoughts: This is the first episode I've been genuinely bored of. Where's the scabrous dark Francis Underwood of season 3, swearing in a Church, and the nuanced and even darker emotional breakdown between husband and wife. Instead we now have the scooby gang solving the crisis of the week as if they're in an episode of Scandal. Literally the only interesting thing that happened - narratively or stylistically - was when the actor playing Aidan Macallan did the most gonzo TV dance scene since Ricky Gervais in The Office! Running time: 42 minutes. Written by John Makiewisz. Directed by Alex Graves. The GOP Nominee Governor Will Conroy and his wife Hannah meet with the author Tom Yates and offer to help him get his novel about a thinly veiled version of the Underwoods published before the election. Later they do a Vanity Fair shoot and Hannah asks her schoolfriend now editor to run the Yates story. She asks Kate Baldwin to write it up for the magazine. Meanwhile Yates slips an excerpt to Stamper. Later still the Underwoods read the transcript of the failed marriage and argue that it's not who they are anymore. 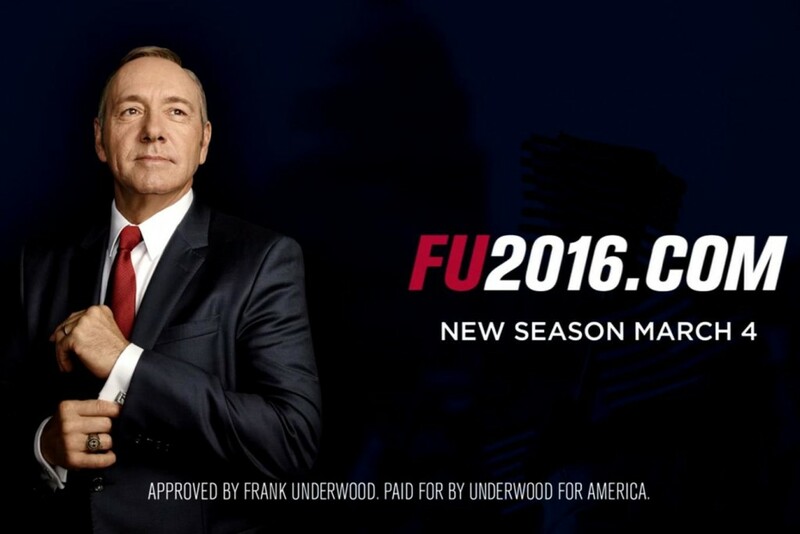 President Frank Underwood interviews a pro-gun potential Vice President, Dean Austin, recommended by the Party. Journalist Kate Baldwin interviews the First Lady Claire Underwood on her gun bill. Frank and Claire then play Dean and the NRA representative off against each other. They announce that Dean will stand as Veep but he then gets pressurised by the NRA to stand down. Frank then suggests an open convention to decide the running mate. Aidan Macallan wins the NSA contract and has started slipping data to Frank's campaign manager Leann Harvey which is sent to the campaign. She then records a Robocall. Tom Hammerschmidt gets a call from Zoe Barnes' father who explains that he was the last person she would've told if she was having an affair. His gum shoe work starts to uncover some leads who saw Frank when he was just a Congressman with Zoe. Frank takes an emotional moment with the wall where he traced Meechum's hand. They agree to offer to take in Tom Yates as he's one of the few people who understood them both. They offer him a job as a scriptwriter. As a result the Conroys have to withdraw from leaking the extract but give Vanity Fair the Brockhart resignation exclusive instead. Doug Stamper is furious when he finds out, blames Leann and asks Seth Grayson to investigate her.